AS SEEN IN THE NEW YORK TIMES! If life were a project and you knew you had a limited time to get it done, wouldn’t it make sense to develop a plan? 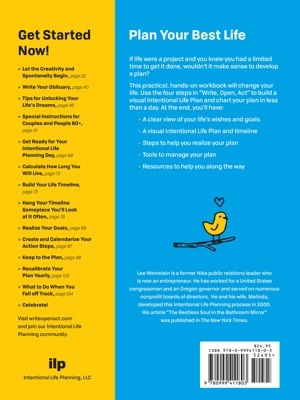 “Write, Open, Act: An Intentional Life Planning Workbook” delivers a life of promise and purpose. No one wants to be lying on their deathbed wishing they would have done this or that. This book helps people achieve their life dreams, even when day-to-day issues get in the way. 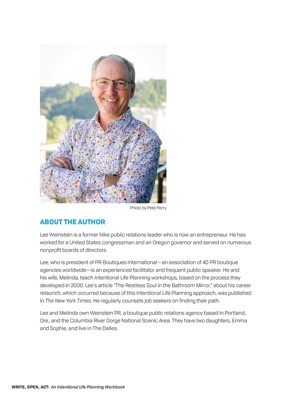 Author Lee Weinstein is a former Nike public relations leader. 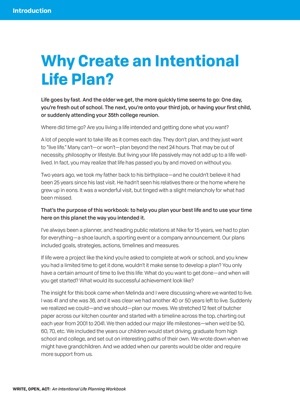 One Saturday, he and his wife, Melinda, pulled out a large sheet of butcher paper and invented a process they call “Intentional Life Planning.” It began with a conversation about where they wanted to live. This led to their looking at the decades they had ahead and the key upcoming milestones for their family, and imagining what they wanted to do with their lives. They ended up creating a highly visual Intentional Life Plan—a timeline filled with dreams and goals—that they’ve updated every year since. When they shared photos of their annual planning day on Facebook, friends went crazy. Many asked how they, too, could get started. And several asked them to turn their process into a workshop, which they did. Their next move was to publish “Write, Open, Act” to bring the Intentional Life Planning method to a wider audience to explore on their own. 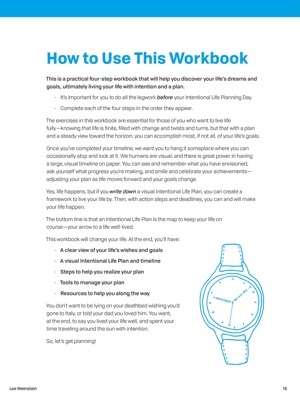 This practical, hands-on workbook will change your life. 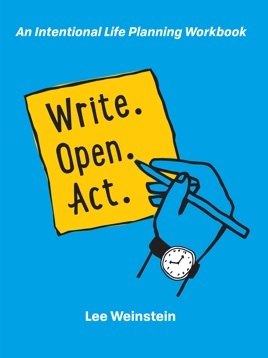 Use the four steps in “Write, Open, Act” to build a visual Intentional Life Plan and chart your plan in less than a day. Written for people of all walks of life, the book gives readers an actionable process that is highly visual, with original illustrations and inspirational messages sprinkled throughout. 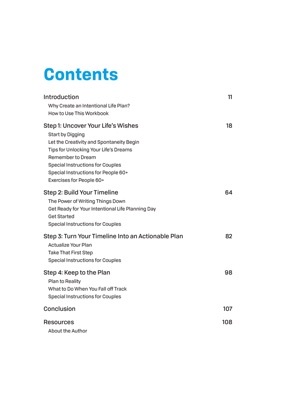 After completing the workbook, you will have a plan for how to live your best life on this planet!